“He wasn’t convinced. So I rummaged through the trash to find a piece of a Morel so that he would have evidence that we weren’t taking psychedelic mushrooms. 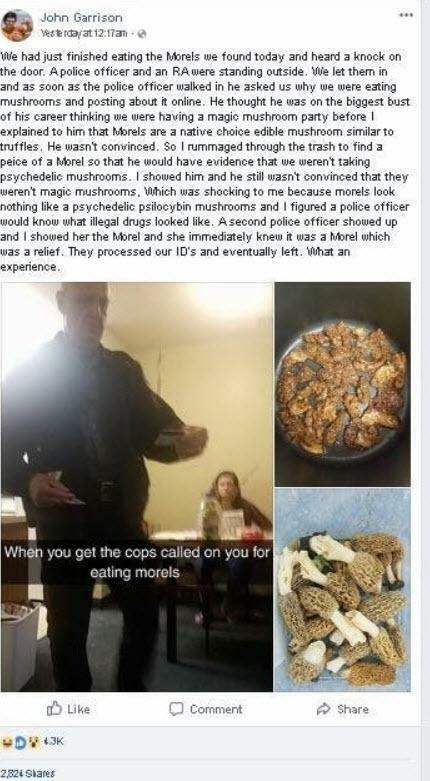 I showed him and he still wasn’t convinced that they weren’t magic mushrooms, Which was shocking to me because morels look nothing like a psychedelic psilocybin mushrooms and I figured a police officer would know what illegal drugs looked like. 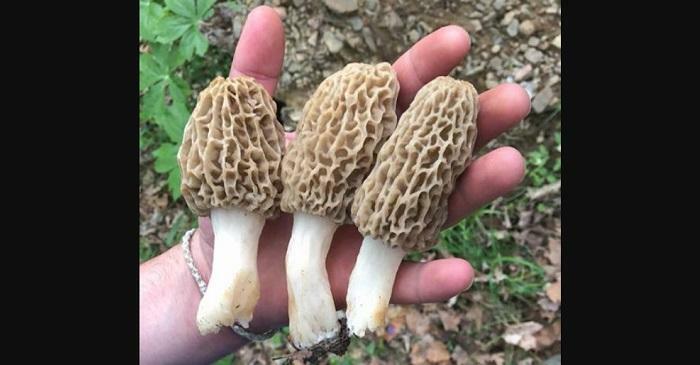 A second police officer showed up and I showed her the Morel and she immediately knew it was a Morel which was a relief. They processed our ID’s and eventually left. What an experience,” Garrison wrote. It appears Big Brother is well and truly here... and he's watching you!